The deck that people who loved Caroline's books have been waiting for. These cards are designed to help people to obtain greater insights into the Archetypes that are most active in our psyches. Archetypes are the ancient patterns of behaviour that are embedded in what Carl Jung described as the "collective unconscious". 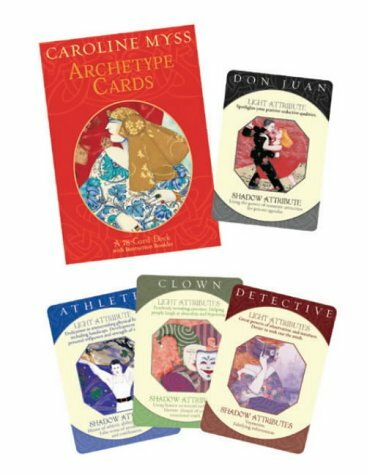 Caroline Myss has developed these archetypes and created 80 cards, that are individually designed to provide the basic Light and Shadow attributes of each archetype. The deck comes with an instruction booklet and can be used by itself, or in conjunction with 'Sacred Contracts'.